I should have known from the start that there would be more to Adel Abdessemed’s Mémoire than was apparent at first glance. After all, his work is never quite as it seems and there is almost always a degree of violence and pain somewhere in the work. But watching Mémoire, my first response was laughter. This was a baboon spelling words out on an magnetic whiteboard. Maybe if I watched long enough it would start writing Shakespeare. Isn’t that what monkeys are meant to do given time? It took a while for me to look properly and actually read the words. My amusement at the comic value of the baboon spelling out words immediately dissipated as I noted the order of the letters. First H-U-T-U then T-U-T-S-I. Hutu and Tutsi, the two ethnic groups involved in the conflict in Rwanda. There is a chilling simplicity to Mémoire that will stay with me a long time. 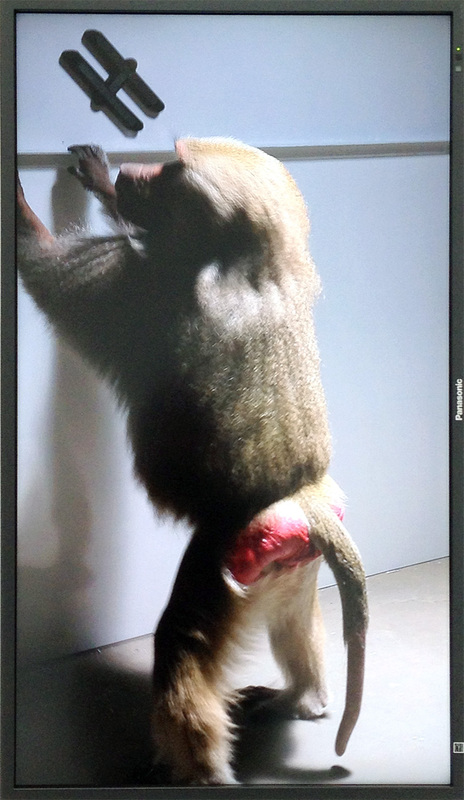 The other works in Adel Abdessemed’s exhibition Who’s afraid of the big bad wolf? at David Zwirner – one of the most interesting Chelsea galleries – are also intriguing. 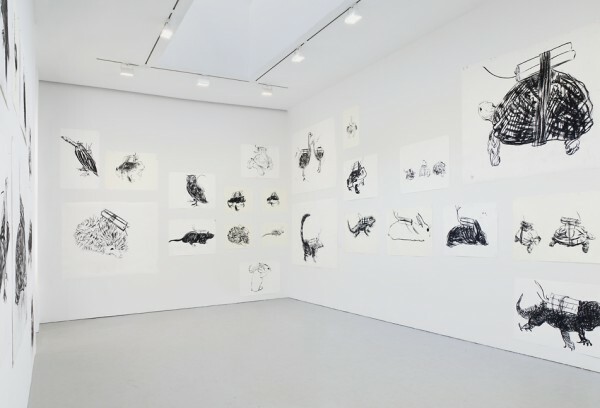 A roomful of charcoal drawings has the same laugh and then realise what you’re looking at effect; the drawings are all of animals but each has dynamite strapped to its back. There are also sculptures, including ones made of made of razor wire, and a painting – well it’s a rectangle on the wall, so sort of a painting – on the same scale as Guernica made of the scorched taxidermied animals that feature in much of Abdessemed’s work. Of all the exhibitions I saw in an afternoon in Chelsea – lots but inevitably not nearly enough – this is the one that I can’t see myself forgetting for a very long time. 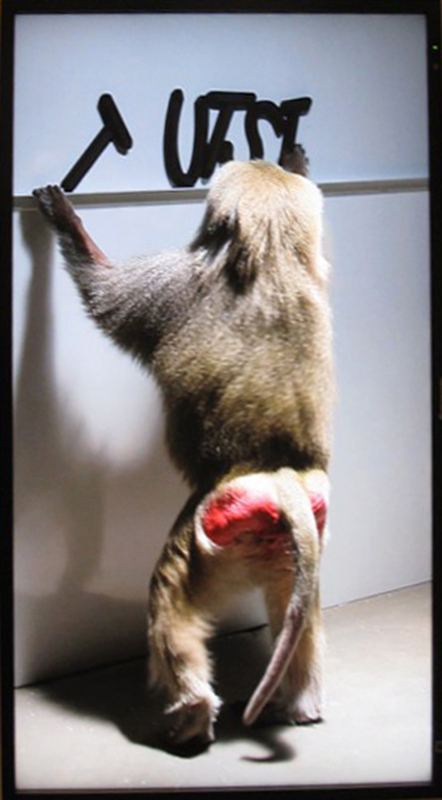 This entry was posted in Drawing, Film/Video, Politics, Sculpture and tagged Adel Abdessemed, animals, art, baboon, drawing, performance, taxidermy, video by Ann Jones. Bookmark the permalink.